The Munich Spielart Festival 2015, which will take place from 23 October to 7 November, is more cosmopolitan and political than ever. It will present plenty of new things, draws attention to the scope and limits of art in resistance and question the euro-centric point of view. For the sixteen festival days set aside seventy hours’ time – plus as much party time as you like. 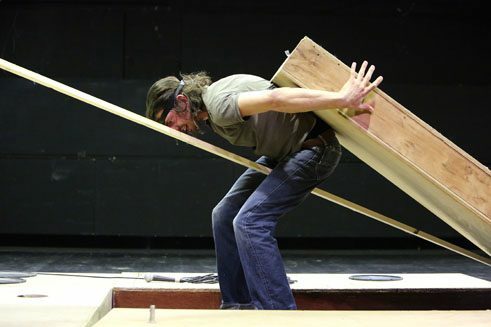 For Spielart always demands much: viewing and participating, reflection and experience. And the festival is becoming bigger and bigger. For twenty years now the director duo, Tilmann Broszat and Gottfried Hattinger, have been directing their attention to the whole world. The two leaders have shown and established new artistic approaches without losing as a result their curiosity and their inquiring minds. Since 2011 they are reinforced by the dramaturge Sophie Becker. In 2013 she created the performance and discourse project Wake Up! 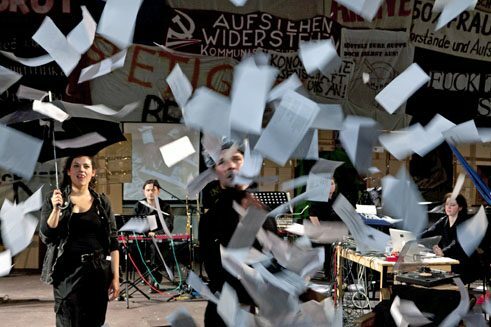 Assembly for a Different Europe – the model for a programme focus in 2015: Art in Resistance. Another focus of Spielart are new works, which at the time of the festival’s start should not be older than three months or else have been commissioned specially by Munich artists such as Ana Zirner, Benno Heisel or Anna Konjetzky. As the third focus there are the non-European guest performances. Ariel Efraim Ashbel: „Empire strikes back"
Spielart 2015 has one of the most political programmes since the festival began. It is expanding its familiar “trans-national polyphony”, especially its courage to try new, still untested and probably difficult artistic approaches and views. For this it has extended across the entire city, from established theatre sites such as the Munich Kammerspiele to a yet unknown private bedroom. From the 8,000 submissions to the festival’s world-wide Open Call, Sophie Becker selected 40 activists and art projects that in the form of exhibitions, lectures, films, traditional story telling or participative performances revolve around the question whether art is suited to serve as a means of resistance. Many of them, such as a number of stories about violence against women, were again set aside lest an impression of “odd exoticism” should be engendered. This left the themes of the national state and its borders, the protests of recent years, whether in Hong Kong, Nigeria or Ukraine, and the scope and limits of individual commitment. Questions that could be kept well in mind over the entire duration of the festival. Right at the start Le Socle des Vertiges (something like The Fundament of Vertigo) from the Republic of the Congo can be seen. In this production, the writer, actor and director Dieudonné Niangouna examines the legacy of French colonial rule. According to Broszat, Niangouna’s piece interlaces civil war and love story, a wrath towards Europe and corruption in his own country. A sound installation by Tania El Khoury from Lebanon commemorates Syrian activists who were and are buried in private gardens during the civil war. In her solo performance Wena Mamela Mamela Nyamza from Cape Town treats the traditional roles assigned to a black woman and dancer. The Austrian director Christine Eder and the musician Gustav show Proletenpassion 2015 ff. It is based on a musical tale about the history of class struggles from 1976. A “great history lesson”, says Hattinger. And the Tokyo artist Akira Takayama, who is making a film in the forbidden zone of the nuclear power plant Fukushima, will expand the sphere of the theatre into public space. 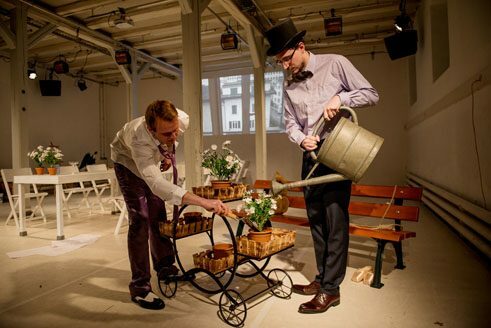 Repeatedly, Spielart had close cooperations with the Munich Kammerspiele. 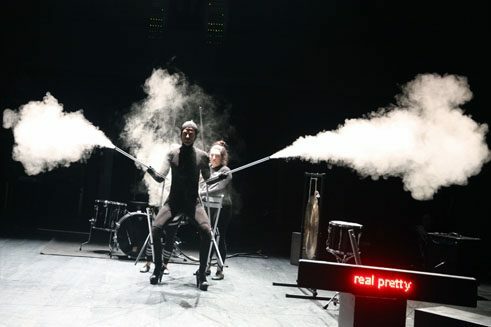 This has brought Kammerspiele director Matthias Lilienthal’s long-time associate Rabih Mroué, an artist and director, into the programme – as well as major projects such as the World Climate Conference of Rimini Protokoll. Here, as Lilienthal assures us, 600 co-conferring spectators can experience first-hand how rapidly we push political issues to one side and “only haggle about money”. And of course the festival directors have also fetched to Munich old favourites such as Jan Lauwers’s Needcompany. As if in counterpoint to these and other habits, Sigrid Gareis in her fifth collaboration with Spielart has invited six curator-colleagues form Colombia, Nigeria, Switzerland, Egypt, the USA and Singapore to scent out the snares of inter-cultural dialogue and deactivate them as far as possible. For example, the symposium Show Me the World, which is also open to the public, poses the question “How do we deal with concepts such as tradition, modernity and contemporaneity?”. In recent years Spielart has been often criticized for its complexity, in 2015 again the program is huge, with about 75 invited groups and artists. And it will presumably grow still further the more seriously the festival takes its self-imposed mission to present its public with the hitherto unseen and perhaps unthought and untried. As a global search picture or, as its organizers put it, “tableau vivant of our times”, Spielart in its eleventh edition reflects an ever larger and more variegated world – in sometimes painful transition. Sabine Leucht is a freelance journalist and theater critic for various publications, including the Süddeutsche Zeitung, the taz und www.nachtkritik.de.